Basic cabinet without audible alarm or strobe light. 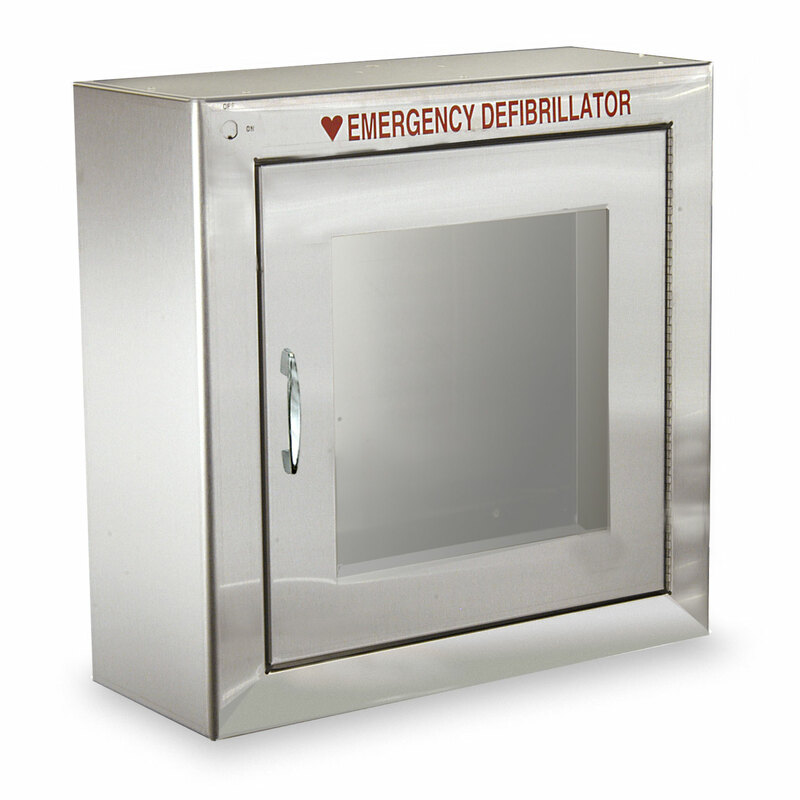 Standard Size Stainless Steel AED Cabinet without Audible Alarm or Strobe light. When good looks matter, this sturdy and attractive cabinet is ideal for both indoor applications and sheltered outdoor applications.